A diamond grading report isn’t an appraisal; it’s the scientific blueprint of a diamond’s exact quality characteristics and is vital in assuring its quality and proof of your diamond’s identity. 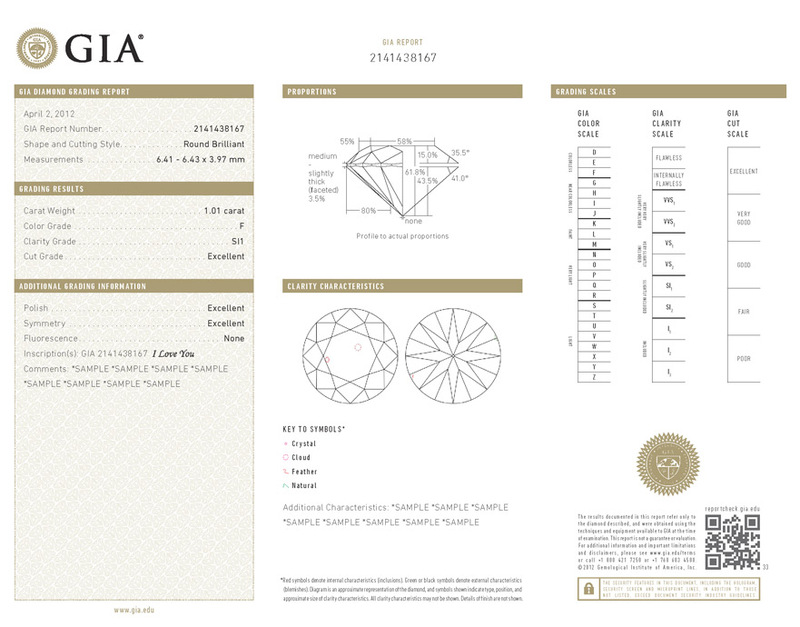 When purchasing a diamond from Diamonds 27, you’ll receive the original diamond grading report or dossier from the GIA (Gemological Institute of America) – the world’s foremost authority on diamonds and the most internationally recognised. The GIA Diamond Grading Report contains scientifically determined information on diamond shape, cut, colour, carat weight, clarity, a plotting diagram that clearly shows a diamond's inclusions, proportions and finish. It also identifies any known treatments. Other reports from other entities have since made their way into the marketplace, but GIA is recognised as the original and unrivalled source for accuracy and integrity in diamond grading. Every diamond has a unique set of characteristics that acts as a fingerprint and determines its value. A diamond report from the GIA, also known as a diamond dossier, is a formal document detailing a diamond’s unique characteristics, especially its cut, carat weight, colour and clarity, and may also include its finish (polish and symmetry), fluorescence and additional comments. The report provides the kind of evidence that is vital to a confident diamond purchase. It’s important to note that a diamond grading report is not the same as an appraisal or valuation certificate. The diamond grading report states the characteristics of a diamond, but does not place a monetary value on the stone. If you want to insure your diamond, you’ll need an appraisal or valuation certificate which is a written estimate of the approximate retail replacement value of the item described. A plot of the clarity characteristics in the diamond. Useful to see where the inclusions are, if any. All GIA reports contain security features such as a hologram, security screen and micro-print lines that prevent them from being forged or duplicated. The report provides the kind of clear evidence that is vital to a confident purchase. GIA's innovations have been adopted universally and today virtually every diamond is described using the language GIA developed. 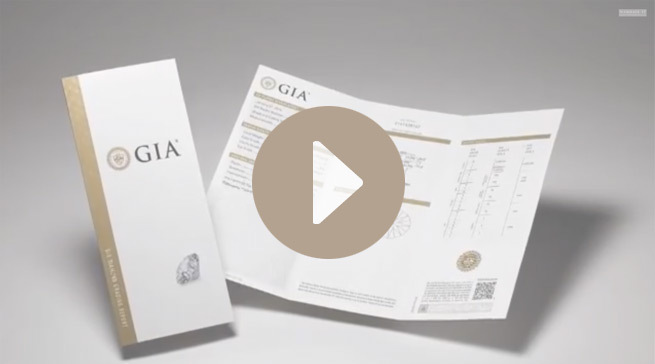 Learn more about the GIA - Diamond Grading Laboratory.